Workers comp insurance do I need it for my business? » Workers Comp Insurance Do I Need It For My Business? What ever industry you are in, injuries at work can happen. If one of your employees is hurt on the job, you can be held responsible for the medical bills. Workers comp insurance provides a safety net for both you and your employees, ensuring that if an injury should occur neither of you will have to bear the financial burden. Workers’ comp insurance is designed to provide financial assistance to employees who are injured in the course of their work. Every business should have it, even though you may believe your employees are not at a high risk of injury. The injury doesn’t have to be the kind of workplace mishap we commonly think of, such as being injured by manufacturing machinery or in the course of dangerous jobs. If there is a wet spot on the floor of your office break room and one of your employees slips on it, that too can be a workers’ comp claim. Any injury that happens at your place of business during business hours, no matter what that injury is or how it happened, is a matter for workers’ comp. Carrying workers’ comp insurance protects you from having to personally pay out for medical bills and lost wages when an employee is injured on your premises. Whether or not you feel the injury is your fault or that your company is responsible, the fact is that if it happened to an employee who is there to work for you, you can be the responsible party. Failure to carry workers’ comp means that you could face a lawsuit and wind up paying out of pocket on the claim. Carrying workers’ comp not only protects you, it also protects your employees. They will not have to deal with the financial burden of having to miss work and pay medical bills due to an injury. And they will feel confident working for you, knowing that if something happens they will be taken care of. In many cases, carrying workers’ comp is not merely a good idea, it is the law. Make sure that you are carrying a policy in compliance with all of the laws for your state and industry. You could face a serious lawsuit if you do not. Smart businesses know that taking care of their employees just makes good sense. 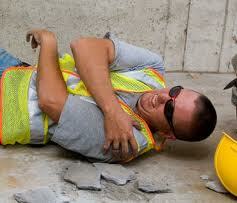 Protect yourself and protect the people who work for you with workers’ comp!